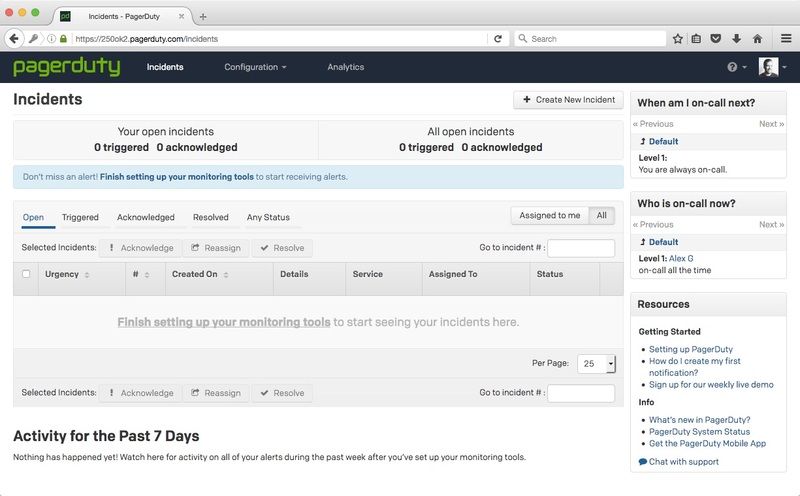 How Can I Receive 250ok Alerts in PagerDuty? 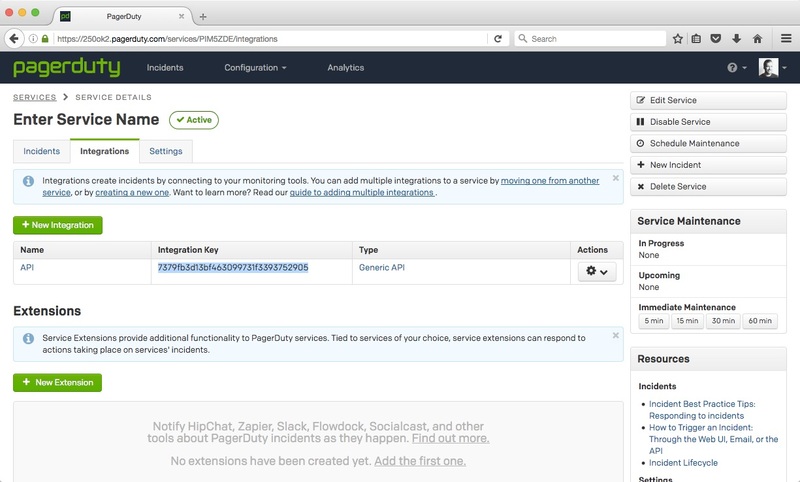 Log into your PagerDuty account by visiting https://app.pagerduty.com/. 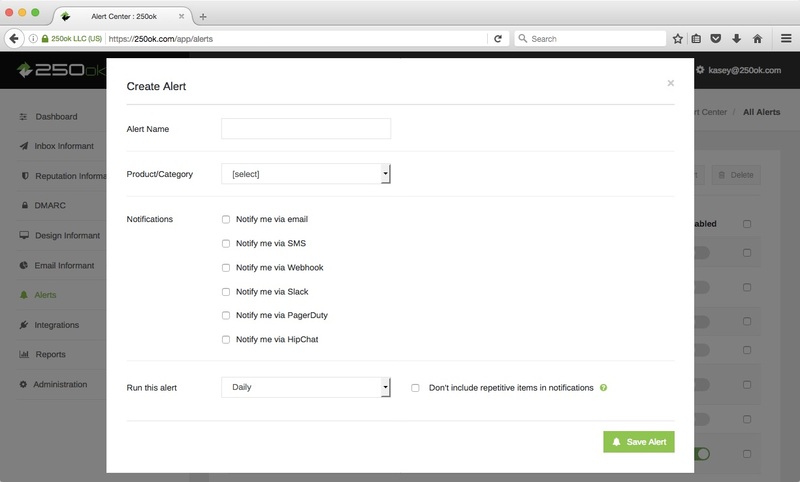 If you don’t already have a PagerDuty account please visit https://signup.pagerduty.com/accounts/new to create one. After successfully logging in select Configuration, then Services. Click on the Add Services button. You will be prompted to create a name for your new service. 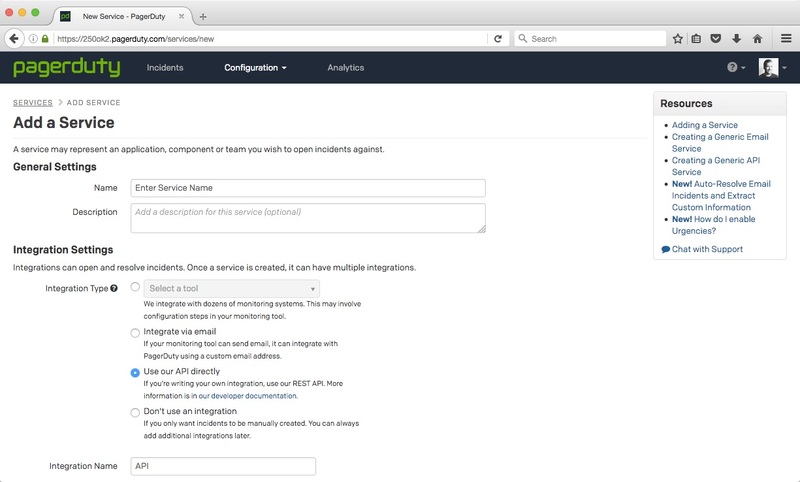 Enter the name for your service and select Use our API Directly. Scroll down the page and click Add Service. You will be given your Integration Key. Copy the Integration Key. Login to the 250ok platform by visiting 250ok.com/app. Select Alerts from the 250ok app dashboard. Click the Create Alert button. 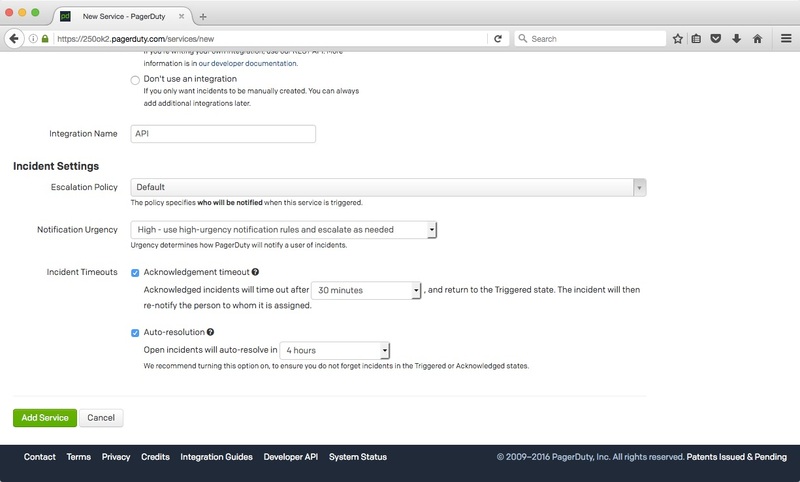 This will open the Create Alert window. 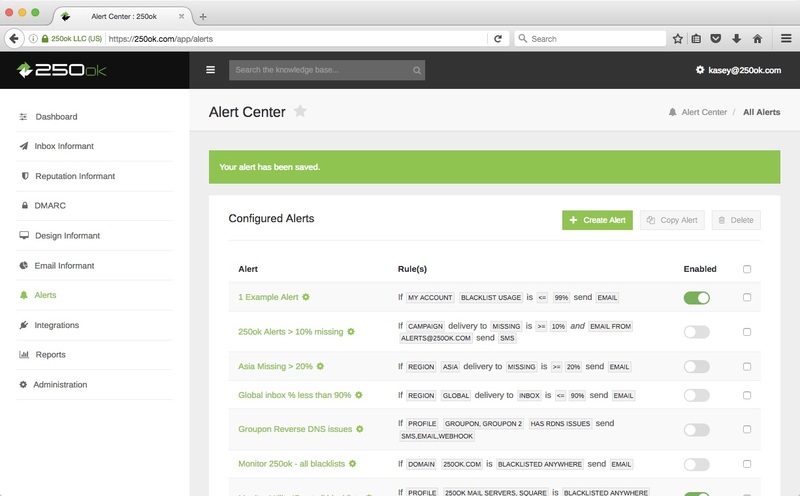 To avoid any confusion, give the alert a name that will make it obvious that these alerts are going to PagerDuty. Use the Product/Category dropdown menu to select the Product/Category you wish to receive notifications for. 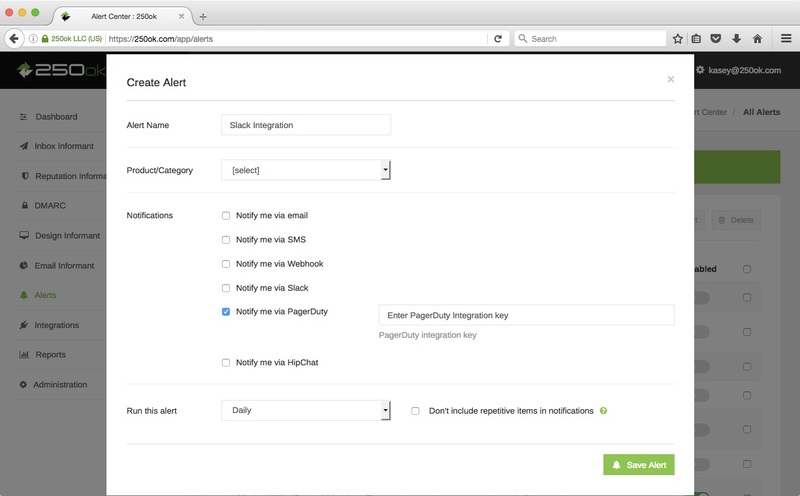 Click the Notify me via PagerDuty checkbox and enter the PagerDuty Integration Key. Use the Run This Alert dropdown menu to select the frequency with which you would like to receive notifications. OPTIONAL: If you would like, select the Don’t include repetitive items in notifications checkbox. You can turn off repeating alerts by checking this box. For instance, if you are blacklisted for any reason, this option will ensure you are only notified once. Click the Save Alert button.